The syllabus for National Cyber Olympiad is divided into three sections for each class starting from class 1 st to class 12 th . This has been done in order to ensure that it is represented in an easy-to- find way. The sub- topics are given strictly according to the class in which the student is and the Mock Tests and Sample Papers are also provided. All the Questions are based on Windows 7 and MS Office 2010. Upto class 5 th the Section 1 contains questions related to Patterns, classifications, analogies etc. Class 6 th onwards, it contains questions related to Verbal and Non-Verbal Reasoning. Section 2 contains questions related to the topics and sub-topics relevant to the class in which the student is. Some topics which could be found here are Fundamentals of Computers, Hardware, Evolution of Computers etc. Section 3 consists of the questions of Higher Order Thinking. The topics are same as those of Section 2 for each class but the level of the questions gets raised a few notches up. This section should be started only after the previous sections are completed as it tests the students differently. Section - 1: Patterns, Completion of Figure Pattern, Measuring Units (Length, Weight, Time and Money), Geometrical Shapes, Odd One Out, Spatial Understanding, Grouping of Figures, Analogy, Ranking test. Section - 2 : Introduction to Computers, Parts of Computer, Uses of Computer, Keys and Keyboard, Computer Mouse, Starting and Shutting down the Computer, Introduction to MS-Paint, Latest Developments in the field of IT. Section - 3 : Higher Order Thinking Questions - Syllabus as per Section-2. Questions are based on Windows 7. Section - 1: Patterns, Measuring Units, Odd One Out, Series Completion, Geometrical Shapes, Analogy, Ranking Test, Grouping of Figures, Coding-Decoding, Embedded Figures. Section - 2 : Introduction to Computers, General Information about Computers, Parts of Computer, Uses of Computer, Learning to use Keyboard and Mouse, Introduction to MS-Paint, Latest Developments in the field of IT. Section - 3 : Higher Order Thinking Questions - Syllabus as per Section - 2. Section - 1 : Patterns, Analogy and Classification, Coding-Decoding, Mirror Images, Embedded Figures, Alphabet Test, Ranking Test, Grouping of Figures, Figure Matrix, Geometrical Shapes, Days and Dates & Possible Combinations. Section - 2 : Fundamentals of Computer, General Information about Computers, Storage Devices, Parts of Computer, Uses of Computer, Input and Output Devices, Introduction to Internet, MS-Paint, Introduction to MS-Word (Opening, Closing, Saving and Printing a Word document, Components of MS-Word Window, Editing commands like Cut, Copy, Paste, Undo and Redo, Moving in a document using Home and End Keys), Latest Developments in the field of IT. 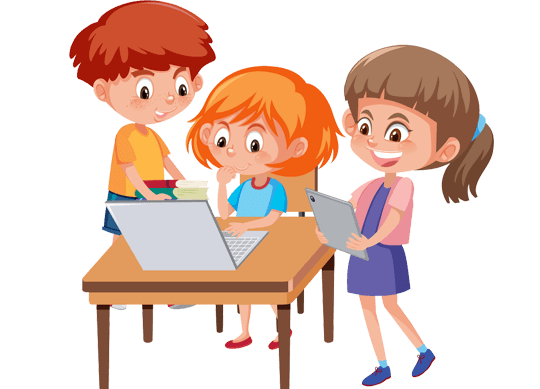 Section 1 : Patterns, Alphabet Test, Coding-Decoding, Mirror Images, Embedded Figures, Geometrical Shapes and Solids, Ranking Test, Direction Sense Test, Days and Dates & Possible Combinations, Analogy and Classification. Section 2 : About Computers (General Information), Evolution of Computers, Parts of Computer, Input and Output Devices, Hardware, Software, MS-Word(Formatting a Word document, Font group, Format Painter, Search using Find and Replace option, Checking Spelling and Grammar using Thesaurus), Using Windows, Introduction to Internet and Its Uses, Computer Networks, MS-Paint, Latest Developments in the field of IT. Section 3 : Higher Order Thinking Questions - Syllabus as per Section 2. Section 1 : Patterns, Analogy and Classification, Coding-Decoding, Geometrical Shapes, Mirror Images, Water Images, Embedded Figures, Direction Sense Test, Ranking Test, Alphabet Test and Logical Sequence of Words, Puzzle Test. Section 2 : Input and Output Devices, Hardware, Software, Storage Devices, Memory Primary & Secondary Memory, MS-Paint, Introduction to Multimedia, MS-Word (Paragraph formatting Using Paragraph group, Drop Cap, Document views, Inserting Graphics-Pictures and Shapes, Clip Arts, Symbols, SmartArt, Multimedia Objects, Text Box, Inserting Header and Footer in a document and exploring its features), Introduction to MS-PowerPoint(Component of MS-PowerPoint window and its features, Inserting Graphics-Pictures and Shapes, Clip Arts, Symbols, SmartArt, Multimedia Objects, Text Box, Inserting Header & Footer and exploring its features, Running slide shows, Presentation Views), Internet, Computer Networks, Using Windows, Latest Developments in the field of IT. Section 1 : Verbal and Non-Verbal Reasoning. Section 2 : History and Generation of Computers, Types of Computers, MS-Windows, MS-Word(Working with Charts and Tables, Using Page Layout tab, Arranging multiple windows of a document), MS-PowerPoint(Creating presentation using Animation, Custom Animation and Transitions, Creating new slides using Slides pane, Outline pane and Slides from Outline, Working with Handouts and Notes Master, Arranging multiple windows of a presentations, Working with Charts and Tables), Internet & E-mail, Introduction to QBasic, Hardware, Software, Input & Output Devices, Memory & Storage Devices, Latest Developments in the field of IT. Section 2 : Fundamentals of Computer, Evolution of Computers, Memory & Storage Devices, Using Windows, MS-Word(Links, Mail Merge, Macros, Exploring Styles group), MS-PowerPoint(Working with Slides Master and Themes, Advancing slides using Hyperlink and Actions, Customizing and Broadcasting Slide Shows, Macros), MS-Excel (Components of MS-Excel window, Editing and formatting cells in a worksheet, Introduction to Formulas, Sorting and filtering data, Macros, Features of Insert tab), Programming in QBasic, Internet & Viruses, Networking, Latest Developments in the field of IT. Section 2 : Fundamentals of Computers, Internet & Viruses, HTML-[Html, Head, Title, Body (Attributes: Background, Bgcolor, Text, Link, Alink, Vlink), Font (Attributes: Color, Size, Face), Basefont (Attributes: Color, Size,Face), Center, BR, HR (Attributes: Size, Width, Align, No Shade, Color), Comment, ! For Comments, H1..H6, P, B, I, U, IMG, Html Elements: A, Ul and Ol (Attributes: Type, Start), Li], Flash CS6, MS-Access, Networking, MS-Word (Exploring File tab, Language and Translate options, Tracking features -Comments, Reviewing Pane, Tracking Changes, Comparing, Combining and protecting documents, Working with references), MS-PowerPoint (Exploring File tab and Slide Show tab, Comparing, Combining and protecting presentations), MS-Excel(Exploring File tab, Useful Formulas and Functions - IF,Even, Odd, LCM, HCF, Power, Product, Round, Sqrt, Sum, Min, Max, Avg, Count, Upper, Lower And Replace, Cell referencing, Using Defined Names group ), Memory & Storage Devices, Basics of Cyber Crimes, Cyber Laws, Operating Systems(Introduction, Features, Types-single user and multiuser), Latest Developments in the field of IT. Section 2 : Algorithms and Flowcharts in Programming, Visual Basic, Animations, HTML(Links, Anchors and Table tags), MS-Word, MS-Excel(Formula Auditing, Data Tools, Protecting and Sharing workbooks/worksheets, Working with cell range), MS-PowerPoint, Hardware, Software, Input & Output Devices, Memory & Storage Devices, Flash CS6, Communication Technology (Networking, Internet and Multimedia),Operating Systems(Types-Interactive (GUI based), Real Time and Distributed, Commonly used OS), Windows, Latest Developments in the field of IT. Section 2 : Fundamentals of Computer, Operating System, Word Processing Tool, Networking, MS-PowerPoint, MS-Excel, HTML, Internet, Database Management System(Functions, Types, MS-Access) , Latest Developments in the field of IT. Section 2 : History, Generation and Types of Computers, Working with OS, Input, Output & Memory Devices, Data Representation, Basics of IT, Internet Services and Protocols, HTML, MS-Word, MS-Excel, Networking, Viruses and Antiviruses, Introduction to C++ till Data Structures. Section 2 : Programming in C++, Database Concepts, SQL, Boolean Algebra, MS-Word, MS-Excel, HTML, Networking & Topologies, Network Security Concepts, Cyber ethics, Viruses and Antiviruses, Open Source Terminologies.